Looking for a quick and easy week night meal? 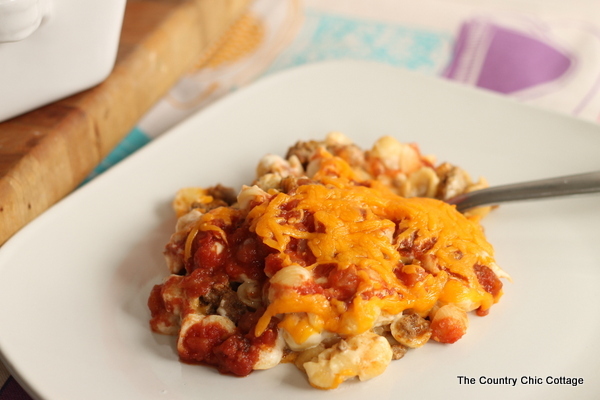 This taco macaroni bake recipe will fit the bill. If you have 30 minutes to whip up a great meal that kids and adults will love, this recipe is for you! 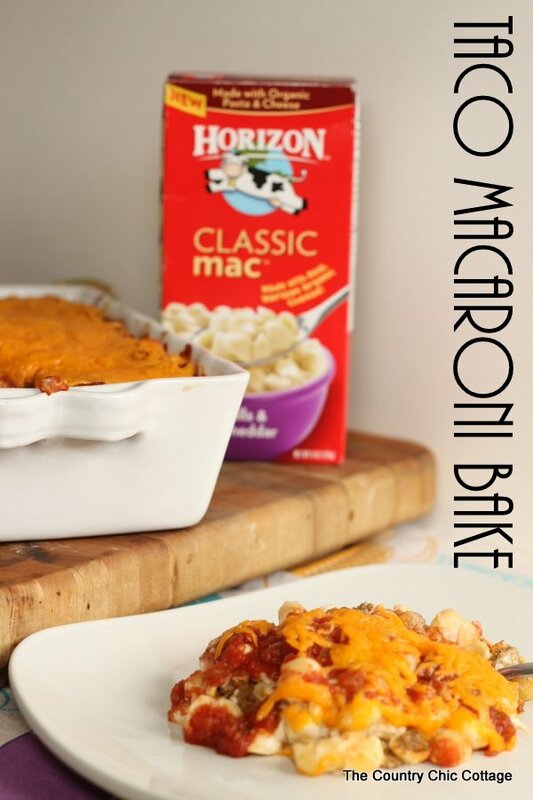 You can watch the video below on how to make my taco macaroni bake recipe or scroll down a bit for the written recipe. Preheat oven to 400 degrees. Make the macaroni and cheese according to package directions (this uses the milk and butter as well). Brown and drain ground beef while cooking the macaroni. Add taco seasoning mix and water. Simmer for about 5 minutes until liquid is gone. Add sour cream to macaroni and cheese once it is done. Mix well. Layer in a greased casserole dish in the following order: 1/2 macaroni mixture, all of meat, 1 cup cheese, rest of macaroni mixture, salsa, 1 cup cheese. Baked uncovered for 12 – 15 minutes until cheese is melted and starting to brown. Serve and enjoy! Y’all be sure to give this one a try. I am telling you it is a crowd pleaser! Plus any meal that I can feel good about feeding my family and can be made in under 30 minutes is a winner in my book. 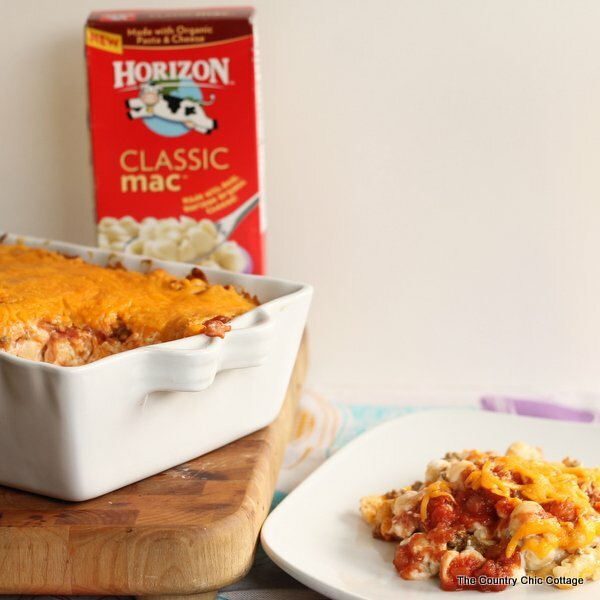 My taco macaroni bake will surely be a winner in yours as well! You can also freeze this one before you bake it for those of you that like to make meals ahead of time. Just thaw before baking and add a little time in the oven. Y’all enjoy this great recipe with your family!